Should Habs Fans be Excited for the World Cup? It was almost a year ago, when the Montreal Canadiens opened up the NHL season with a historic 9-0 run. They looked unstoppable. Carey Price picked up right where he left off from his MVP campaign. P.K. Subban was leading the way on the blueline. Everything was clicking. But then, it all came crashing down. What appeared to be shaping up as a magical season turned into a nightmare for the Habs and their fans. That was largely due to a mysterious injury to Price, one that never seemed to heal, and it essentially derailed their season. Carey Price gets the start in Team Canada’s exhibition opener on Friday. It will be his first game since Nov. 25. Subban’s departure puts even more of a spotlight on Price, and the importance of him staying healthy. That said, I happen to believe that Shea Weber is one of the better defencemen in the NHL, and he is a perfect fit for the Canadiens. Weber will get some of the attention, but at this point the only thing on Habs fans’ minds is the health of their goaltender. If it were a normal season, Price would be getting ready for training camp slowly, and ease his way back to test that knee. He hasn’t played a game in almost 10 months, and it would be ideal for him not to overdo it too soon. But such is not the case this year. Price will be forced to ramp things up in a hurry as he prepares to play in Canada’s first exhibition game at the World Cup of Hockey. Price is already tired of answering questions about his health. He insists he’s at 100% and feels completely normal. But not even Carey himself knows how his body will respond in-game action. And Habs nation will be holding their collective breath during Friday’s game. Is Playing in the World Cup Too Risky? Obviously, if Price wasn’t ready to play, he wouldn’t play. He may have rushed back too soon last season, and ultimately had to sit out the rest of the year. He and his doctors are likely not going to make that mistake again. 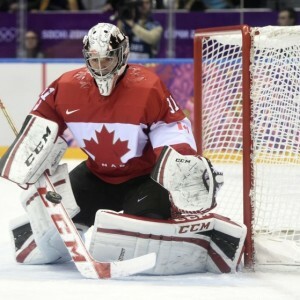 On Canada’s end, of course they want the best goalie in the world to be between the pipes for them. But it’s not as if there weren’t other options. Braden Holtby won the Vezina Trophy this past season. Corey Crawford is a two-time Stanley Cup champion. So is Marc-Andre Fleury, who they elected not to bring to Toronto. There was also Roberto Luongo, and Martin Jones, both of whom had good seasons. Canada had their pick of goalies to be sure, but they wanted Price to be their guy. Now, with the tournament about to get underway, they want to give him every opportunity to show he’s ready to go. You could look at this situation in one of two ways. In a positive spin, Price will be able to get his feet wet and be more than prepared once the NHL’s regular season gets rolling. Because of the long lay-off, there would have been concern that he would be rusty out of the gate and struggle to get back in-game shape. But now he can shake off the cobwebs in games that don’t count in the standings. On the flip-side, there’s going to be the worry that Price will have to push too hard too soon, and risk tweaking or re-aggravating the injury. It’s difficult for players who finished the season to go from zero to 60 in a short period of time. It will be even tougher for a guy who hasn’t played since last year. I would imagine that Habs fans want to see Team Canada win the World Cup, and see Price be a star like he was at the Sochi Olympics. But at the same time, every time an American player crashes the net, or Price gets in an awkward position to make a save, they’ll be in a slight panic. At the end of the day, until Carey Price gets into real game action, no one is going to know how his knee will respond. Of course, you’d like to see him play in less high-leverage situations first, but he’s certainly going to get a good test in these next few weeks. As I said, with Canada having other quality options, and the tournament itself not meaning anything in terms of the NHL standings, I just don’t see Price risking anything if he’s not truly ready. He saw firsthand how his team suffered without him. Playing for the Canadiens is his job, and that’s where his priority must lie. 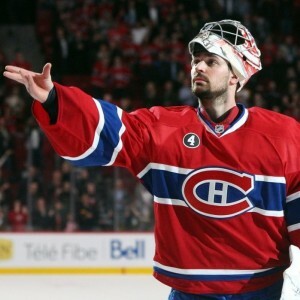 There will some anxious moments during that first game, and anticipation over how Price will feel once its over. This is happening. Habs fans, you may as well get excited for this tournament. But it’s certainly okay to be terrified at the same time.